MISSION, BC – Mission Springs Brewing has announced the release of a new holiday seasonal that is much lighter and fruitier than a typical winter ale, but still features plenty of Christmas-friendly flavour. A light and delicious beer blended with cranberries, white grape juice and ginger root infusion. At 3% alcohol with a very refreshing cranberry finish and light ginger zing, this beverage is the perfect refreshment for every occasion and great over ice. 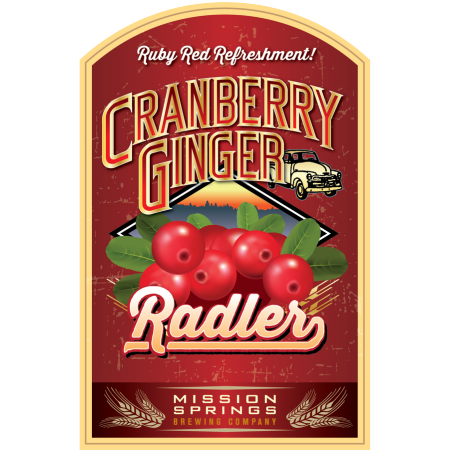 Cranberry Ginger Radler is available now on tap at the Mission Springs Pub, and in bottles at the adjacent Mission Springs Liquor Store.